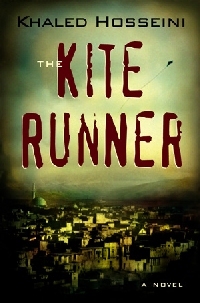 Hosseini writes a compelling, moving story of which loyalty is the strongest thread. Appropriately, there are as many twists and turns in this narrative as the line on a kite, but at times this felt contrived. The central scene of conflict in the book also felt far-fetched to me. I don’t want to spoil it for anyone, but the Taliban conflict seemed unrealistic. While novels can play the fantasy card well and writers should not necessarily be limited to what seems plausible, these bouts of unreality are major weaknesses in a novel where almost everything else and particularly the early scenes in Afghanistan are so vivid that I felt like I was reading an autobiography. The clash is unfortunate. So, while this is a good quick read which is at times very moving, this first novel suffers at times from a lack of realism which weakens it. It has the potential to be a very powerful film when it is released later this year. In fact, I’d go so far as to say this would make a better film than novel. I agree with your review but I still found it to be an incredible read and very informative concerning a way of life so opposite from mine. The book left me reeling with emotion. I was convinced the author was describing part of his life. Khaled Hosseini has brought to life the people of Afghanistan more than any newscast ever will. The Kite Runner is going to be a classic of our times. Really? You think so? Have you read An Unexpected Light by Jason Elliot? You are correct. I read the book , as well as watched the movie. The movie is better than the book. Generally, the movies dont do justice to the book. Eg: Lord of the rings, God Father etc, however this case in reverse, where the movie outdid the book by a fair distance. One movie which did outdo the book, in my opinion was “One who flew over the cuckoo’s nest” Jack Nicholson was superb.